A couple of days ago I saw Peppa Pig somewhere and you know what; I just remembered that I totally forgot about sharing last year’s Peppa Pig inspired Drama show! We have used this drama script for our Kindergarten end of year show. 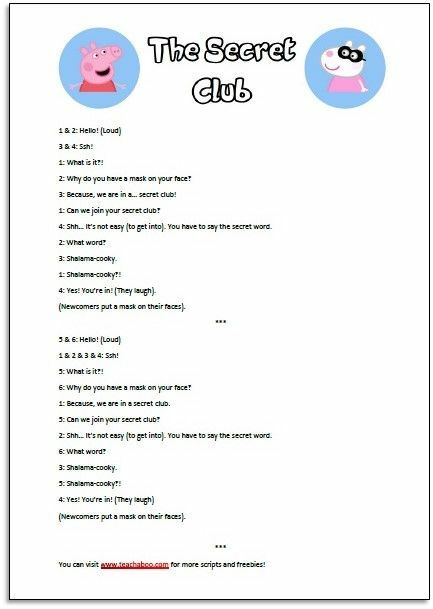 (Prep Class Age 5-6) It was so cute as they were supposed to wear black secret club masks just like the one you can see in the photo below. By the way, we made the masks ourselves using black FOAM PAPER. It was easy to draw the mask templates on them and attach strings. 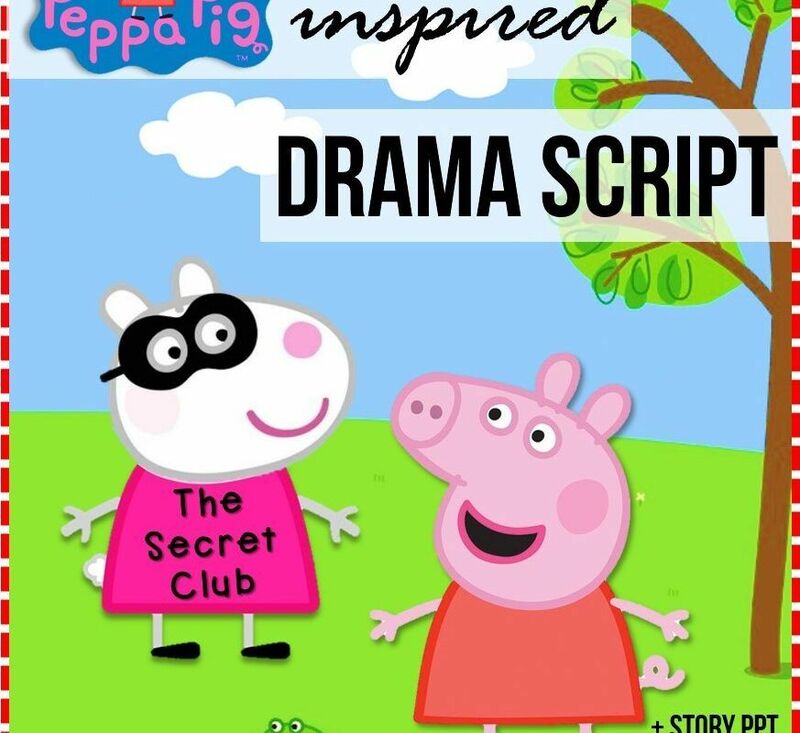 For this story, you can watch the Peppa Pig The Secret Club episode. While watching, remember the video watching steps: First, watch the video without stopping, Then watch it again, but this time stop the video to ask questions to the students and for the last time, watch it again and when you stop it ask students to repeat the sentences (So they get used to hear and say the lines of the script). 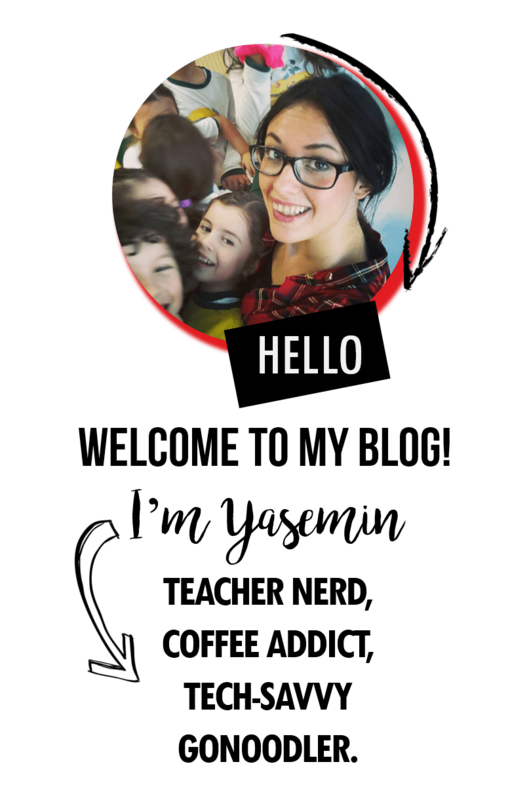 And then, you can use the story PowerPoint that I shared, for more repetition. Click here to download the story PPT. 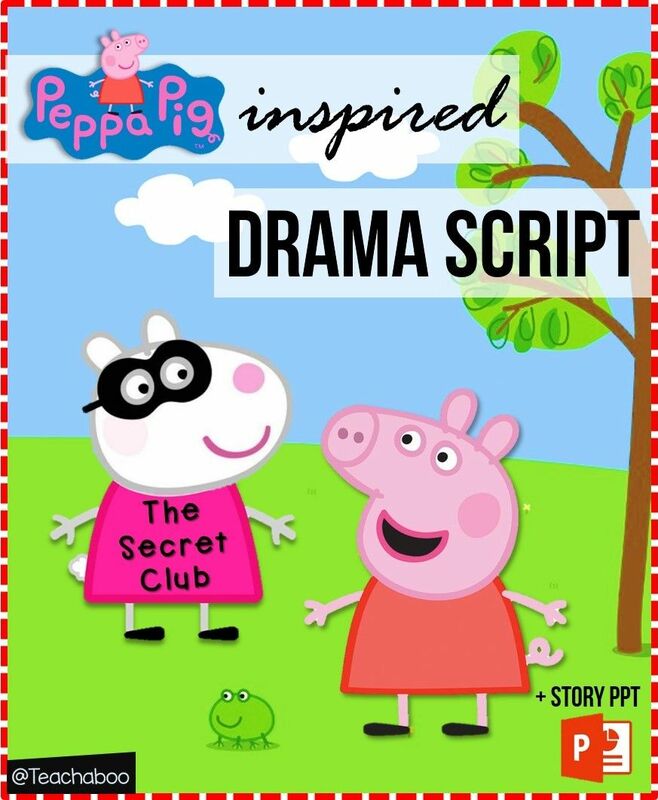 Click here Peppa_pig_inspired_drama_script_teachaboo to download the Peppa Pig inspired Drama Script. Hope you would find it useful!